Not all people who commit crimes are criminals. Most are just ordinary people who made unfortunate mistakes. If you are a first-time offender charged with a nonviolent crime, you may be eligible for a pretrial diversion program that could result in your charges being dropped if you fulfill certain requirements. The attorneys of Cotter & Zelman, P.A., can evaluate whether you qualify for pretrial diversion. We can also assist you in getting into the program and ensure that your criminal charges are dropped after successful completion of the program conditions. As former prosecutors with more than 65 years of combined experience, we are skilled lawyers who are committed to helping you find the best possible resolution to your criminal charges. Contact our Winter Park pretrial diversion attorneys to schedule a free consultation to discuss your options. 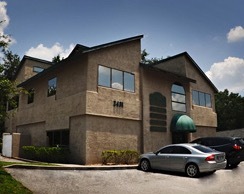 We work to protect the rights and interests of clients throughout central Florida. How Does Pretrial Diversion Work? If you qualify for pretrial diversion, you will not be prosecuted through the court system. Rather, you will be diverted to a program that may require you to perform community service, submit to random drug screenings, or complete substance abuse counseling or treatment. The requirements of your diversion program will depend on the nature of your criminal charge. Your progress in the program may also be supervised by a probation officer, although you will not technically be on probation. If you complete the conditions of the pretrial diversion program, your criminal charge will be dismissed, which means that your arrest record may be eligible for expungement in the future. The eligibility requirements for pretrial diversion can be complex and depend largely on the nature of your charges and your criminal record. Generally, most nonviolent misdemeanor charges qualify for the program. Third-degree felonies (not involving violence or a weapon) may also qualify. Many people who take advantage of the opportunity for pretrial diversion are charged with DUI, drug or theft-related offenses. If you have been charged with a crime in central Florida, the attorneys of Cotter & Zelman, P.A., may be able to help you get a second chance through pretrial diversion. Call us at 407-629-4711 to schedule a free consultation.